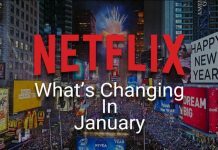 With a low monthly subscription rate and a huge collection of movies and television shows, the popularity of Netflix is no surprise. Gone are the days of being embarrassed to be spend Saturday night at home in front of the TV or computer. “Netflix and chill” is now a legitimate way to spend time and some users even boast about binge watching their favorite shows for hours on end. So what makes Netflix so addictive? Why are some users even cutting the cord in exchange for the simplicity of a low-cost subscription? 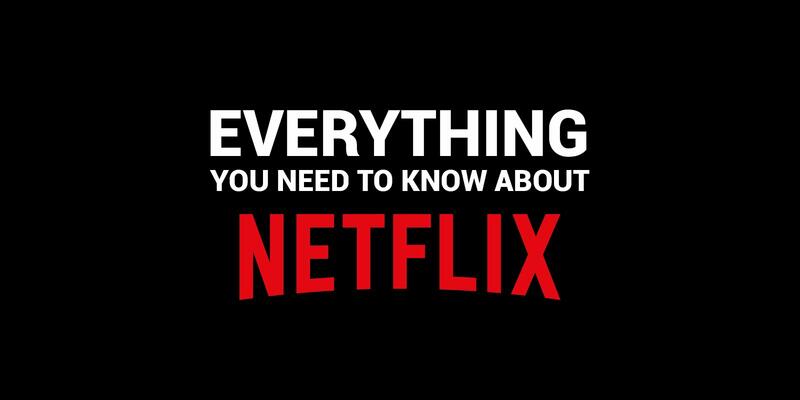 The following is everything you need to know about how to use Netflix and why it is so extremely popular. It won’t take long for you to discover why Netflix is so great and why you may want to consider it for yourself. If you are one of the few people who strictly watch television via your cable box and aren’t familiar with Netflix, or have completely ignored friends who talk about binge watching House of Cards or Orange is the New Black, then you might be surprised by just how easy the service is for consumers. As a video-rental company, Netflix offers both physical DVDs as well as streaming on-demand services—Yes, you can still use this service to rent DVDs! 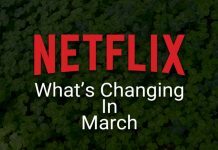 Most movies and television programs are available for consumers as well as Netflix own production of programs such as House of Cards, Stranger Things, Arrested Development, Unbreakable Kimmy Schmidt, Fuller House and the wildly popular Orange is the New Black. Seriously, if you haven’t discovered any or all of those great shows, you’re missing out. Among all the popular reasons to join Netflix, the Netflix productions themselves are one of the best reasons. Exclusive to Netflix, these incredible shows are not available anywhere else. Perhaps best of all, the catalog of shows and movies is frequently updated, so there is always something new and different to watch. It’s important to note that although Netflix is very up-to-date with a variety of television series, their selection of movies is not as on point. Many newer titles are only available on DVD, if at all, with the majority of the movies being older ones. A Netflix subscription is fairly inexpensive – much less than cable – which is why cable companies are not big fans of the service. With an extremely low monthly subscription (anywhere from $7.99 to $11.99 for streaming and $7.99 to $19.99 for DVD service) no contract, and consumers getting all the channels they actually watch, it’s no surprise viewers are flocking to Netflix and ditching their cable service. More than ever people are taking their programming viewing online, canceling their cable contract, and having a more enjoyable and financially affordable viewing experience. While the company continues to dominate the streaming TV market and continues to be the #1 streaming service, other providers like Hulu, Amazon Instant Video (part of their Prime scheme), and iTunes have seen steady growth. While Netflix is still the top choice, Amazon Instant Video is keeping it on its toes with movies and television shows that aren’t available on Netflix. Unlike Netflix, there is no monthly subscription for iTunes. Viewers either rent or purchase the movie or television program they want to watch. When purchased, you can download the program or movie to your computer or mobile device. When rented, viewers gain temporary access for a limited amount of time. Amazon Instant Video is somewhat similar because it gives viewers the opportunity to buy single episodes as a time. For those interested in watching an entire series, a “TV pass” can be purchased and new episodes are sent to your device as they are available. There’s no doubt that Netflix is much simpler since it takes a nominal monthly fee for users to gain access to the entire program catalog. Of course, all streaming options are considered the better option than cable for financial reasons as well as viewer options. Why pay for shows you aren’t watching? And, why deal with being locked into a contract with a cable company and be subjected to their consistently increasing rates? The good news is Netflix is available in the United States wherever you are able to run an internet browser. As a browser-based service, you’ll have no problem accessing your account with Mozilla Firefox, Google Chrome, and Safari on Mac OSX. On a Windows PC, browsers supported include Internet Explorer, Mozilla Firefox, and Google Chrome. If you’re trying to use Netflix on your smartphone or tablet, you can install the iPhone app for iOS and Android. You can also add the app on nearly all streaming TV devices and gaming systems: Apple TV, Roku, and Amazon Fire TV etc… You can literally watch Netflix and have all of your favorite shows with you wherever you go. Keep in mind that whatever platform you choose, having appropriate and optimal internet speed is crucial. There’s nothing worse than a slow internet speed when you’re watching your favorite program because you may find yourself stuck in the “buffering” zone for too long. If you compare installing Netflix to installing cable, the differences are night and day. When you go with a cable company you have to plan a time for a representative to come to your home. They tell you a block of time that is usually four hours and you spend the majority of your time waiting for them to come. Once they come, they charge you an astronomical fee to do the installation which may or may not include drilling holes in the walls of your home. Yet, installing Netflix requires absolutely no representative coming to your home and you can install it yourself simply by signing online or turning the power button on your DVD player. There is no installation fee or waiting around for someone to help. Of course, if you do need help, you can call actually call their customer service line for help! Which is almost unheard of in this day and age. Of course, you can also visit the Netflix.com help center page to find a solution to your issue. Easy installation is yet another reason why so many people have cut the cord and are choosing streaming services over cable. If you’ve signed up for Netflix, you’re probably ready to get started watching all your favorite shows without hesitation. So, what’s the fastest way to find the movies and shows you’re looking for? First, you’ll need to go into your search knowing that not everything will be available to you immediately. Because of licensing agreements and different syndication deals, some countries gain access to programs at different times than other countries. For example, when the movie “The Wolf of Wall Street” first came out on Netflix, only those in Brazil were able to see it first. Yes, it’s frustrating, especially if you have your heart set on watching something you’ve waited to see, but rest assured it will eventually come out on Netflix in your country. But, most selections will be available, so when you are ready to add something to your list, go to the search box (a no-brainer) and type in the specific title you want. You may also find titles by clicking the browse icon (on the top left-hand part of the screen), or by simply scrolling down the main page through the categories. The browse feature organizes all the genres available on Netflix. And if you want to get more specific, there are subgenres inside of the genres. 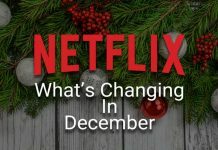 The categories are on the main page and have labels such as “Popular on Netflix,” “Recently Added,” “New Releases,” and even “Top Picks” just for you. The more you use Netflix, the more your top picks will become even more personalized and you’ll get recommendations for movies and TV shows that you will want to watch. Of course, you can always rate these selections with “not interested” and help Netflix “learn” what you like and don’t like. Similar to Amazon, after you’ve selected or watched a show, the site algorithms will work hard to help you discover shows you will like. One interesting feature that most Netflix users are unaware of is the fact that you can log on to your Netflix account in another Netflix-supported country and reap the benefits of that country’s offerings. So, for example, if you were in Brazil during the time the Wolf of Wall Street came out, you’d be able to log on and watch it there even if you couldn’t watch it in your own home country of the United States. The only downside is that you will not be able to make a watch list on your account if you are in a different country. And, you are not able to access your watch list from your Netflix account once you arrive back home. This, of course, makes sense because not all programs are available in each country. With such a huge selection, it should be clear that not all content will be suitable for all ages. Luckily, Netflix offers a “Kids Section” that allows users to block children from seeing adult content. Accessing the Kids Section is easy, simply scroll to the top of the page and click the section that says, “Just for Kids.” From there, you will be taken to titles available on Netflix that are completely kid-friendly. Select “Parental Controls.” Set the level that you feel comfortable with for your child. Of course, any kid who is fairly internet-savvy will be able to find the parental controls and slide the preferences back to “adult.” If your child is small, they wouldn’t be able to figure it out. 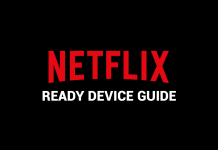 Unlike cable, Netflix easily allows you to set parental controls so your children can not accidentally pick up the remote and see something that you don’t want them to see. With so many perks and benefits over cable, it’s no surprise that the future of Netflix is bright. The company is constantly expanding into new markets and countries as it continues to expand worldwide. The company is also expanding their emphasis on personal recommendations and are hoping to get the model in place by 2025. The Netflix production company is consistently producing new and exciting movies as well as a variety of comedy and drama series that cater to eager audiences. As an innovator in streaming content, Netflix is constantly raising the bar in the industry. Other streaming content providers are forever trying to keep up with the new and progressive content of their own. While the competition may not be the greatest for Netflix, as a cord cutter you can reap the benefits. You could subscribe to Netflix and one or more streaming content options and still pay less money than if you had a subscription to cable. Consumers are finally experiencing the content on demand they have wanted for years and they are having better viewing opportunities than ever. From enjoying streaming content in the comfort of their home to watching from their laptop on the go, users are enjoying the convenience and ease of Netflix. Every day new users are discovering the benefits of Netflix and ditching their cable because of it. With a low monthly subscription rate, no installation fee or setup, great customer service, and exclusive and award-winning programming, the popularity of Netflix is just getting stronger. Users can expect Netflix to just get better as the company grows and expands.